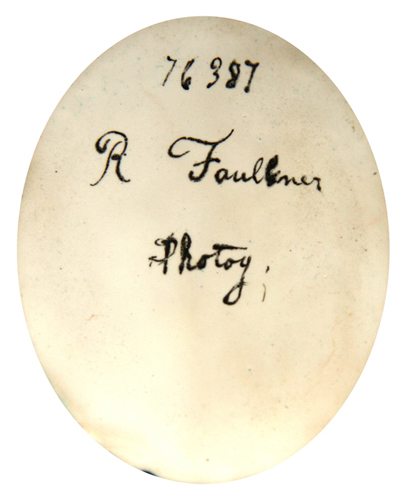 "76387, R. Faulkner, 21 Baker Str"
Pink photo on enamel in a locket. 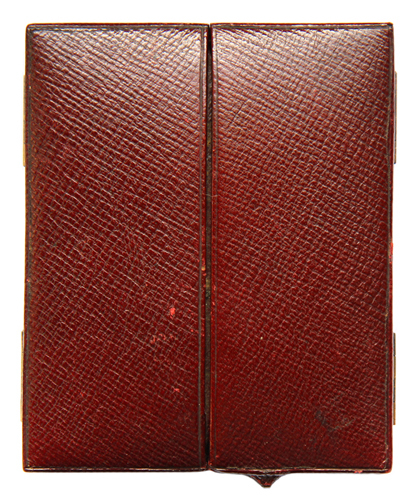 Case opens in the middle. 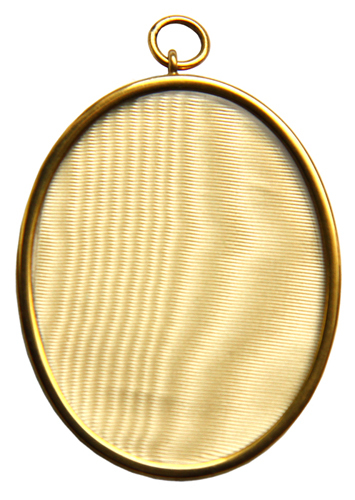 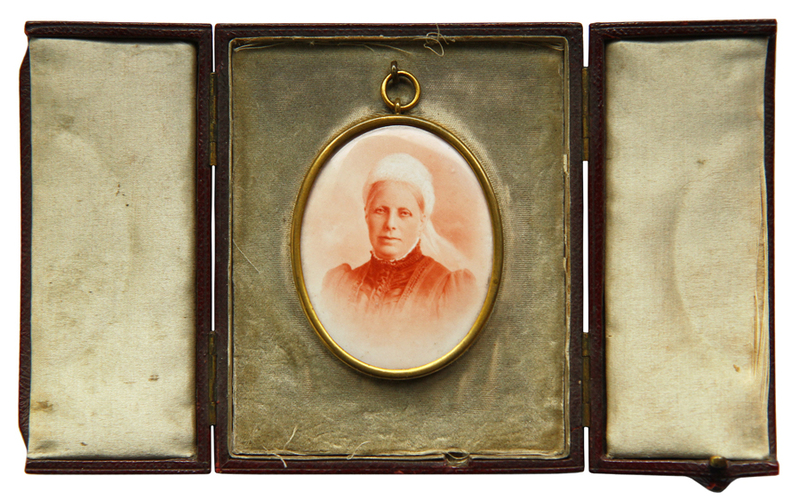 The back of the locket has a window with some silk behind it. 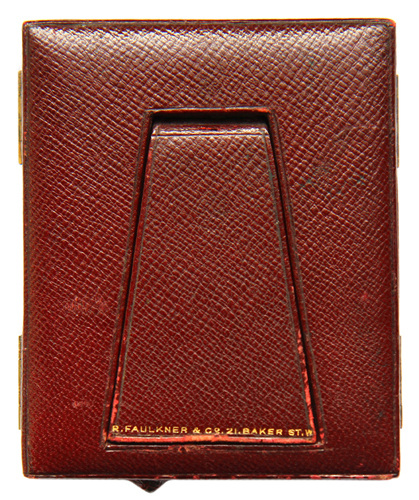 Faulkner was at Baker Street from 1877 to 1890.